You need to be sure the data you are using to design or reconfigure your factory is as accurate as possible. To do this, the industry is moving away from relying on potentially out-of-date CAD drawings for capturing as-built facilities. 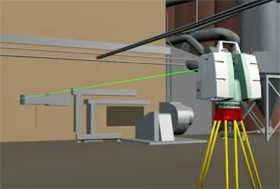 Scanning is the most easily attainable and reliable source of truth and is used in conjunction with CAD. And, scanning improves safety by reducing the accidents and exposure that can happen when taking manual measurements.